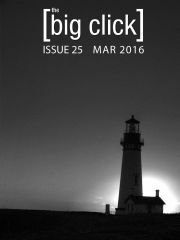 In the final issue of The Big Click we have three stories by crime author Libby Cudmore—“Narc,” “Play Dead,” and “Barbie Girl,” all different, all the same with their themes of what humans driven to extremes by circumstances are capable of. We also have “The Hero of East Vale” by Marc E. Fitch which, sadly, will resonate with anyone who watches the news. 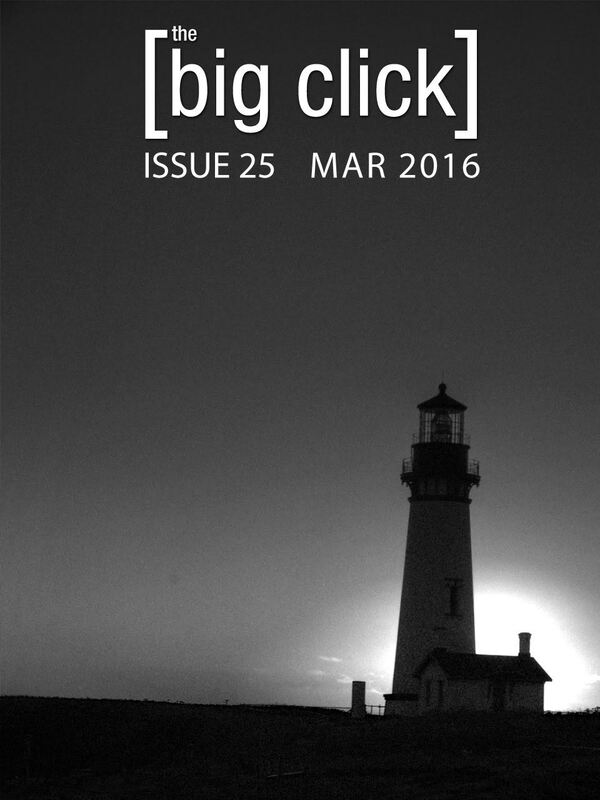 Our nonfiction pieces are a Q&A with Libby Cudmore and a farewell musing from Barry Graham.